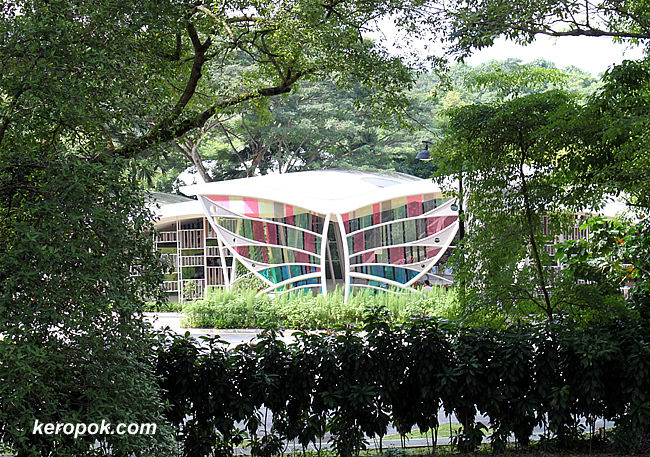 I was walking at the NUS Bukit Timah Campus and suddenly I turned left and saw a huge butterfly! There was an suddenly an area that was not covered by trees and the sun light shone brightly on the butterfly. That's the entrance to the Jacob Ballas Children's Garden. I can't get in. You need have a kid in tow to get in. But recently the spouses of the ministers that came for the APEC2009 meetings in Singapore got to go in. It does look like a butterfly - bet the children have fun there. I think the children have a great time inside. The problem is I can't get in! haha..